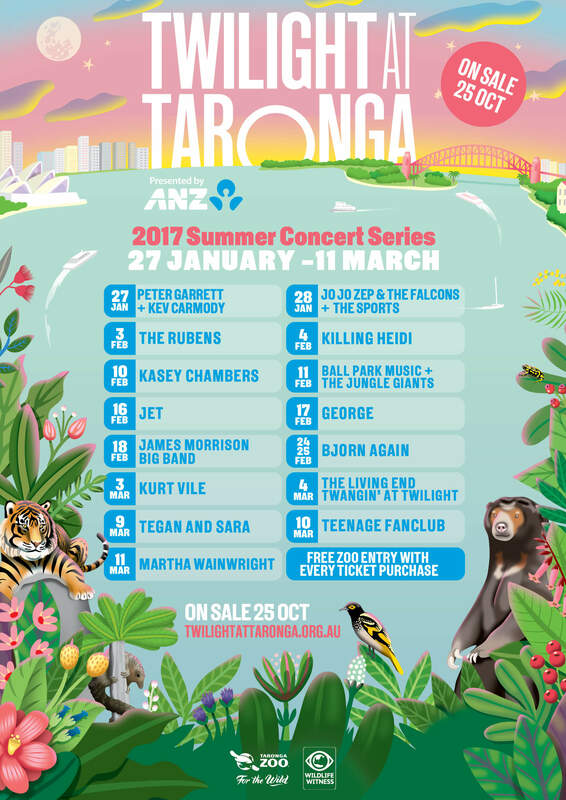 Peter Garrett has announced that he will be playing some very special shows at Taronga Zoo‘s ‘Twilight at Taronga‘ concert series (Friday 27 Jan) and Melbourne Zoo Twilight Sessions (Saturday 28 Jan) with his band The Alter Egos. 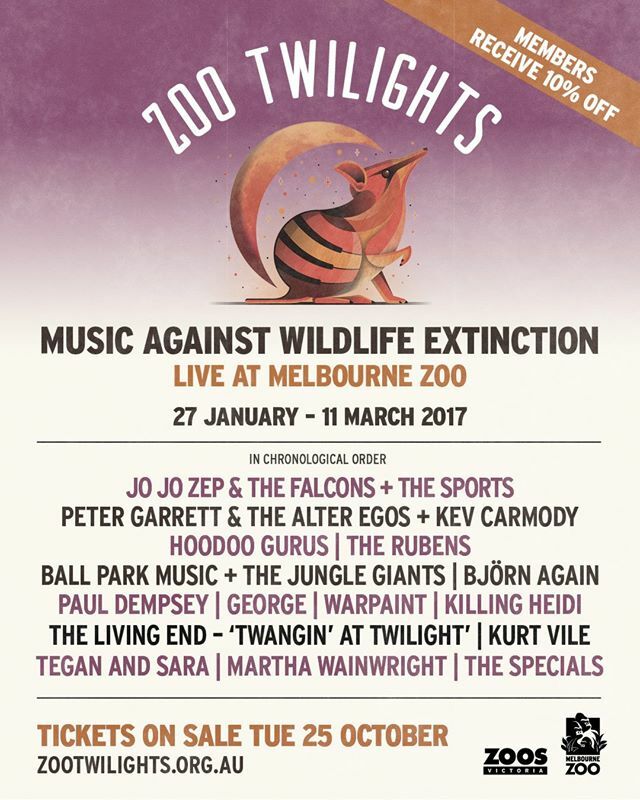 Peter will be supported by the incomparable Kev Carmody at both shows. Fan pre-sale starts this Friday 21 October at 9:00am – pre-sale links will be posted here and on Peter’s website come Friday morning. General public on-sale Tuesday 25 October 9:00am. Hope to see you there.